I have always said that real beauty comes from within and being happy and healthy is not just an attitude but a lifestyle. Lately I have been trying to make the switch to green beauty products as they are gentle on my skin and make me feel better about the environment. It’s still important to enjoy the things you love in moderation (I like to at least try everything once) but it feels great to take this healthy safe beauty approach. I came across Brauer when I was researching Natural Australian Skincare. They take the nasties out of making natural remedies, only using the finest ingredients. They specialise in homeopathic and herbal remedies as well as luxury personal care products for adults and children. Their packaging is sophisticated, the formulas are safe and their products are gentle and beneficial to your skin. 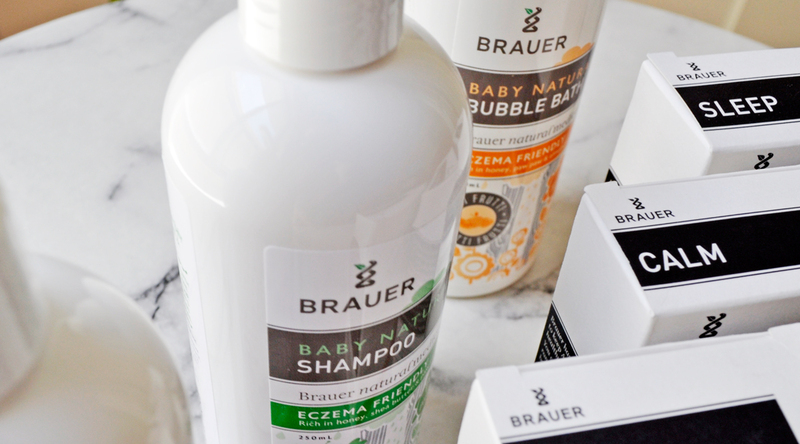 My kids have been loving the Brauer Baby Naturals (Eczema Friendly) range and it has become an essential part of their night time routine. The Sleepytime Bath has a calming and relaxing effect on my children (and me), it leaves their skin clean and smooth. I love the natural no-nasties formula which soothes and nourishes their skin. How to use: Add a dollop of Brauer Naturals Sleepytime Bath to warm running water and swirl with your hand to mix. This indulgent natural fruity bubble bath is not only fun but also safe. 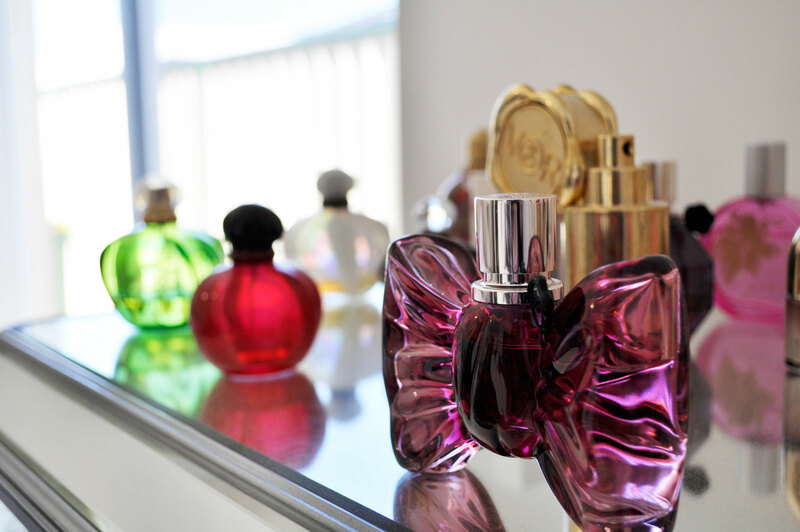 It smells absolutely divine and a small amount goes a long way. The bubbles are amazingly relaxing and when the kids step out, their skin is soft and hydrated. How to use: Add a small amount to warm running water to make bath time fun! For a naturally bubbly bubble bath, swirl with your hand vigorously under running water. Baby and children’s skin are very delicate and their hair is too. This shampoo has a nice consistency and a wonderful scent. It leaves the hair feeling silky and healthy after each wash.
How to use: Apply a small amount of shampoo to the palm of your hand, rub hands together and gently massage into bub’s wet hair. Rinse thoroughly with water. Have you got writer’s block or need to improve your concentration and memory? This fatigue fighting spray will be your new bff. Focus on doing one thing at a time and try to keep distractions to a minimum. Aim for 8 hours a night of deep, relaxing sleep. Eat small meals up to six times a day. Make sure they contain low GI whole grains and veggies plus some lean protein to help keep your blood sugar levels stable. Cut down on stimulants like cola drinks, coffee, and alcohol which can leave you on edge and make it difficult to sleep. Find a relaxation method that you really enjoy and works for you — it may be yoga, meditation, walking or deep breathing. *A note for pregnant and nursing mothers, please check with your healthcare professional before using any medicines. This spray gives me a feeling of instant calmness and tranquility, its great to have on hand when I need to disperse anxiety or the feeling of stress in my day. Sleep deprivation can have a negative impact on your health, energy and safety. This spray helps me fall asleep faster for a longer period of time leaving me feeling refreshed in the morning. Have you tried homeopathic medicine before? Let me know your thoughts in the comment section below! I think I need to shower with the “calm” spray !!! Haha it is wonderful 🙂 I highly recommend that you try it. These sound amazing! I would use all of these and the sound like they would be perfect for my eczema prone skin! I loveee the sound of those sprays too. I love the essential oils that help with a particular aspect of life! Please do! It is gentle and effective. I absolutely love that they’re eczema friendly, I’ll have to let a few friends know about it! As always very well written post. Loved reading it. The sleepy time bath sounds like perfection. It looks like such a cute brand – I love the sound of the sleepy time bath! Great photography. Thanks lovely 🙂 They are pretty awesome! Omg all these sound super great! I wish they had those bath soaps when my kiddo was younger because he had some serious eczema and I could not get rid of it. I didn’t like the idea of using the steroid cream because it would thin his skin too. Anyway, I have insomnia at the moment so I would love to have a blend like that. I don’t drink coffee or alcohol but I know it’s partially stress, my kiddo sleeping late, and me having to finish homework. Awh thanks! I am feeling a bit better and I am starting yoga again to start the day right lol. I hope I can follow through with it hahah. And thank you!! ❤ kiddo is behaving lately lol. Hope you and your family are all doing fantastic! !